My original plan this year was to post a monthly update on how my writing is going. That hasn’t worked out too well so far. The January update was late and thanks to an unexpected and extended trip back to the UK the February/March updates have been MIA… until now! It was a moderately productive month on the writing front – 18,210 words spread across a couple of projects. 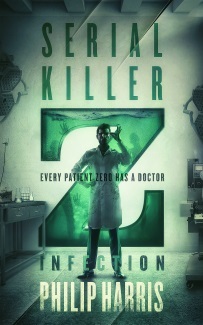 The first was book two of my zombie project. I wrapped up the first draft and it clocked in at 95,296 words which is a) longer than the first book and b) longer than I expected. I suspect it will drop a bit during revisions but it’s a very healthy first draft. I’m very happy with how the book turned out. Sadly, the first book is stuck in editor limbo and I’ve just heard it’s going to be delayed even longer. Needless to say, I’ve got a different editor lined up for the rest of the books. Once Project Zombie Book 2 was out of the way, I wrote a new short story. I’m not talking about this one much at the moment, but I will say it’s destined for a very cool anthology that will come out later this year. I also did a quick polish pass on an unfinished story that was called Body Parts until recently but is now known as Shipment. That story went out to my mailing list as part of my Year of Stories. If you’re not aware of what that is, it’s pretty simple – I’m sending subscribers to my newsletter a new short story every month this year. I’ve been getting some great feedback so far and I’m looking forward to seeing what people think of the rest of the stories. It’s not too late to join in. All you have to do to sign up is CLICK HERE and enter your email address in the box. You’ll get the stories you’ve missed a few days after you sign up and the rest of the stories throughout the year. February’s reading was dominated by this piece of garbage. I’d rather not think about the book any more than I have to so I’ll just post my Amazon review here for reference. There are the great fantasy authors -Tolkien, Jordan, Martin – and there are the merely good. Then there are the mundane and the mediocre. Then the incompetent, the terrible and the appalling writers. And then there’s Alistair Foley. Song of Sliverglade is perhaps the most abysmal fantasy story ever written. No, scratch that – it IS the most abysmal fantasy story ever written. The prose veers wildly between execrable and merely banal, the characters are no dimensional, the plot has more holes than something that’s pretty much just one big hole. And don’t get me started on the dialog. Sadly, once read, this story cannot be unread. 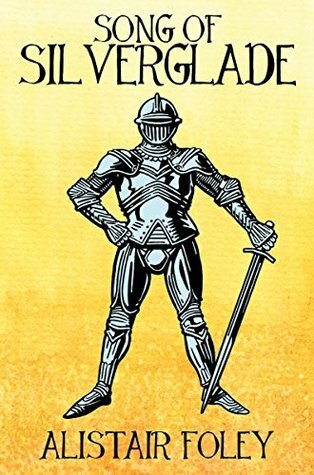 Not only do I give this sorry excuse for a story 1 star, but I give every other fantasy story written now and forever 1 extra star – Song of Silverglade makes even the worst of them look like high literature. That was February, now on to March. March was a weird month. I spent the entire month in the UK visiting family and had a lot of time to write while I was there. Unsurprisingly, that resulted in a lot of new words – 35,325 to be exact. That’s the most productive writing month I’ve ever had. A chunk of those words (8,909 if you’re interested) were outlines for no less than five new projects including Project Zombie Book 4 and three sequels to Siren’s Call. Why all these outlines? Well, the cover designer I use nowadays is very popular and gets booked up well in advance so I booked my place in his schedule last year. In order to design the covers, he needs details on the plot and as the books aren’t written yet, I need to put together outlines for him. Detailed outlines are becoming a very important part of my process nowadays so it’s very useful, even if I won’t be working on those books for a while yet. The first three of those new covers are in and they’re looking fantastic. I can’t wait to get them out to you. I also wrote outlines for the next two books I’ll be releasing – the sequels to The Girl in the City. I hadn’t planned on writing them but people seem to enjoy Leah’s story and I had some interesting ideas for where it could go next. The second Leah book will be called The Girl in the Wilderness and I spent the rest of the month working on the first draft of that. I’d expected to finish that first draft by the end of month. Ha! It’s turning out a lot longer than I’d thought it would (I sense a pattern developing). It will certainly be quite a lot longer than The Girl in the City. All three books will also get new covers and the designer is working on those at the moment. I’ll be giving away advance copies of both of the new Leah books to anyone who is a) subscribed to my newsletter and has b) reviewed one of my previous books. So, if those things don’t apply to you, now is the time to sign up, get some free books and start reviewing. The other thing I did during the downtime during my trip was read. 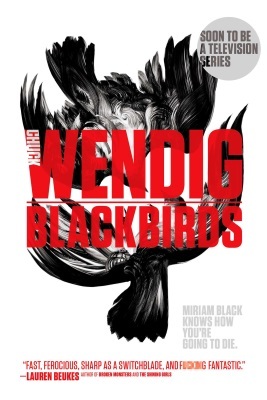 I got through lots of really good novels and short stories (you can see all of them on my Goodreads page) but the highlight was Chuck Wendig’s Mirriam Black series, starting with Blackbirds. I’ve skirted the edges of Chuck Wendig’s books for some time now – reading one or two but never quite getting hooked. Until now. Blackbirds sank its claws into me right from the start and wouldn’t let go. Fast paced, dark and with a wickedly profane sense of humour, this is a great start to the series. I finished Blackbirds in the early hours of the morning and immediately moved on to book 2 instead of going to sleep. I loved all three books and blasted through them. The only downer was when I realised the fourth book isn’t out until next year. I’ve got a very hectic April coming up – we’re moving house, there’s story deadlines, contest prizes to send out, the Glitch Mitchell serial to post and lots of catching up to do after my month away. Maybe the April update will be here before May.